We are one of the leading manufacturers of Pre Stretch 9 Micron Films, which are made-up of superior quality films that give durability to the packed products. 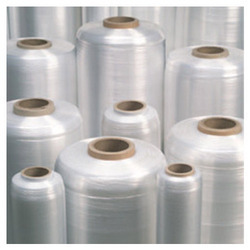 9 micron wrapping films are the alteration of 23 micron stretch films, used to holding to great savings. Our range of Pre Stretch 9 Micron Films includes Pre Stretch 9 Micron Films. Our company manufactures a vast assortment of Machine Grade Stretch Film i.e., Pre-Stretch 9 Micron Films with reduction, which can exceed 70%. These products having reforming and retention force that give well load protection during transmit. Our products are available in both hand and machine rolls. There is no stretching required during the film rolls. These products have reinforced application edge for good function highest tears and conflict up to the final meter. Reinforced roll edge for a better function highest tear resistance up to the last meter. Lesser labour fatigue as a no stretching required during film application. Available in both hand and machine application. Film is available in both hand and machine rolls. There is no stretching required during the film wrapping. 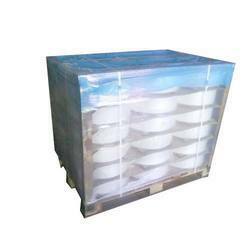 The film can be used upto the last meter.It has a very good retention that give well load protection during transmit. Film weight 2.5 times less than Hand film – Less Wrapping cost per pallet. Less space required for Inventory. Reinforced roll edge for a better function highest tear & resistance up to the last meter.